Thankful for the fantastic facial today! One of the best I've ever had. I'm so happy I found your boutique and appreciate your guidance as to what kind of treatment I needed and for making the whole experience enjoyable. Many thanks! A loyal customer for Ooh la la for years and thats because you girls are the most professionals in everything you do. I trust your products and advices. I have seen the results. Amazing service from the girls, always look forward to my appointments! My skin glows after my treatment and has addressed issues with breakouts! I've been going to ooh la la for over a year now and it was the best decision Ive made. I see Amy monthly for a microdermabrasion or peel. 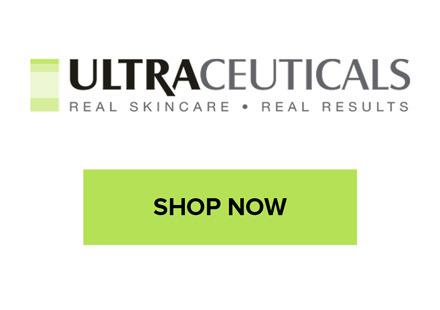 Ooh La La Beauty Boutique Glenelg is Adelaide’s Ultraceuticals facial treatment salon, offering Ultraceuticals full range of products and services. Perfect for a gift for those who have never experienced a facial. This facial includes all the basics you come to expect just on a quicker time frame. Products are carefully selected after a skin consultation to target your concerns. We also have a range of specialised facials. These facials are specifically designed to suit particular concerns you may have with your skin. A skin analysis will allow us to use the right products and machinery in salon and offer appropriate aftercare plan for you. The deluxe facial is for those who like a bit of indulgence. Includes sonophoresis deep cleanse, tailored mask and vitamin infusion. Includes a relaxing massage of the décolletage, shoulders and neck to assist you to drift off relax. The ultimate workout to help refine pores, smooth coarse texture whilst improving overall skin radiance. This treatment is designed for those clients that want a more refined, retexturized and Luminous Complexion. Featuring THREE of Ultraceuticals powerhouse treatments combined to get 1 amazing result.